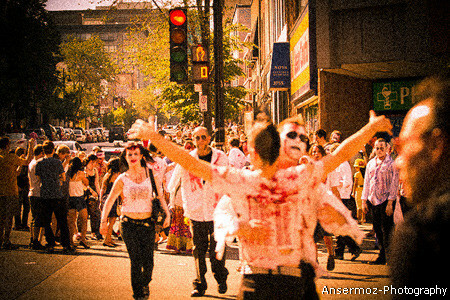 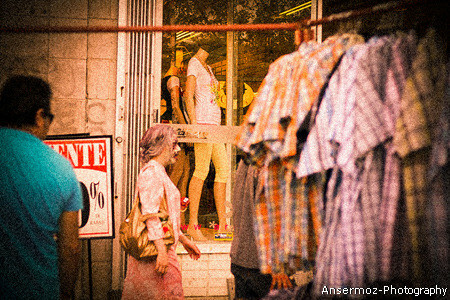 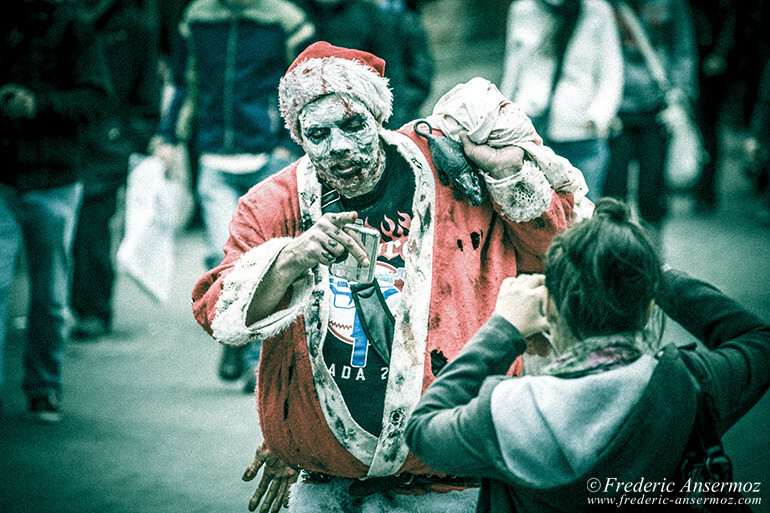 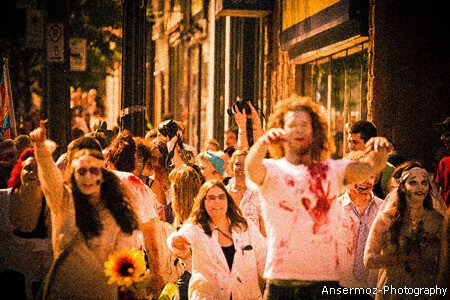 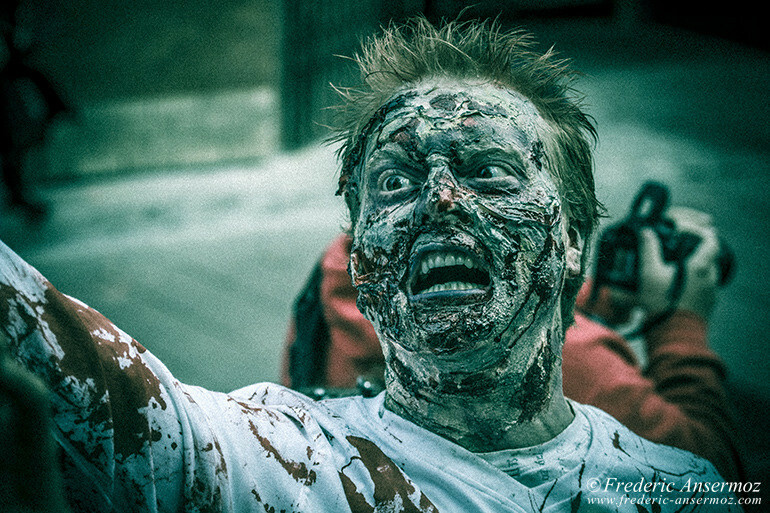 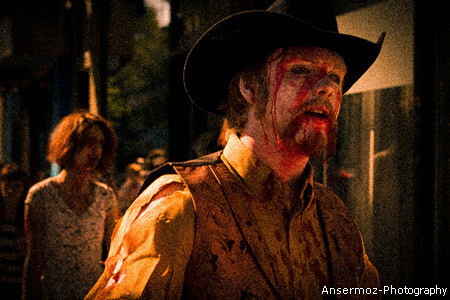 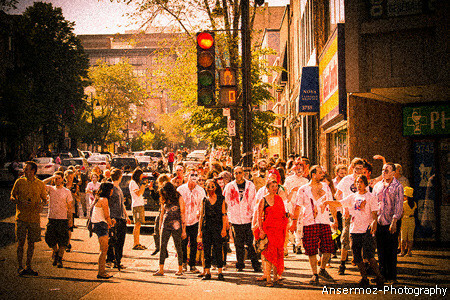 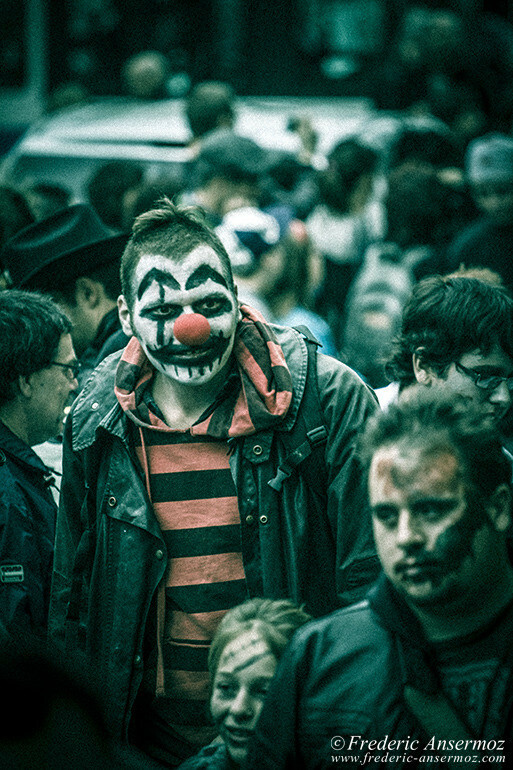 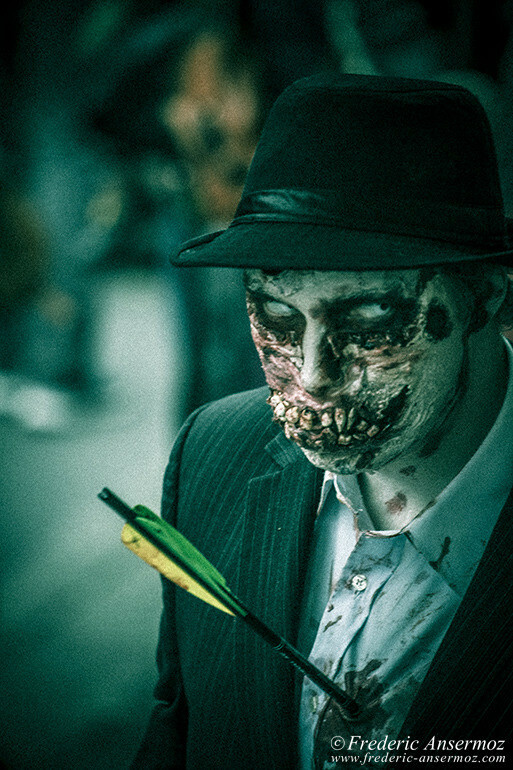 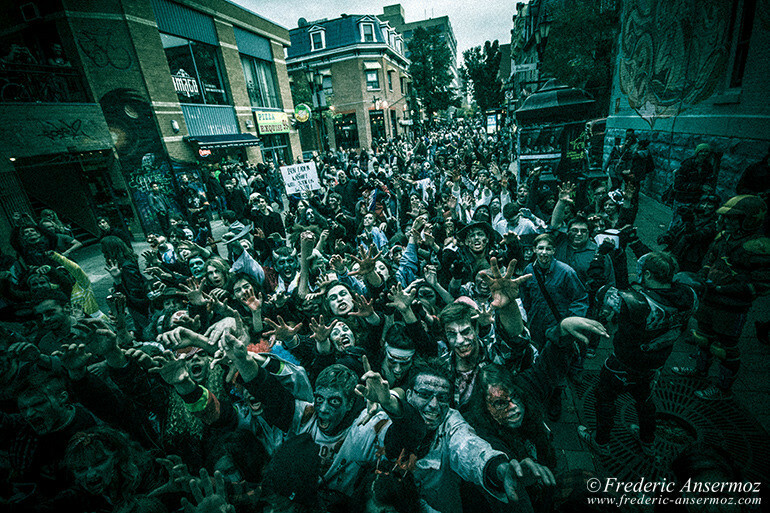 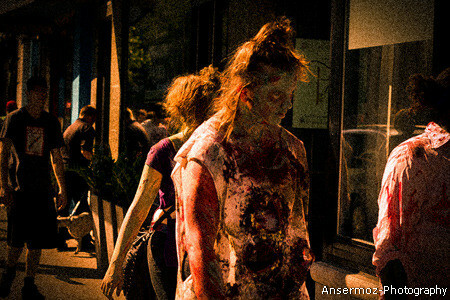 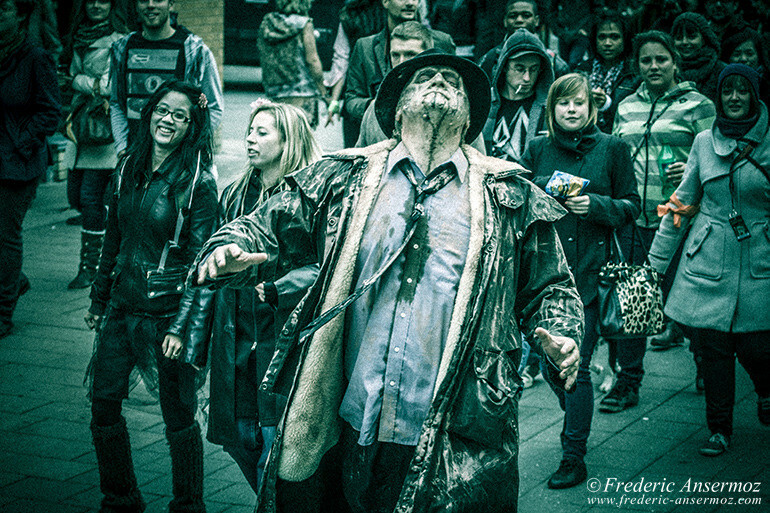 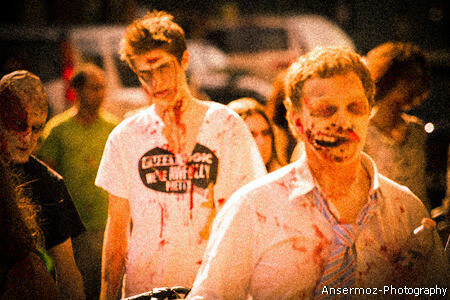 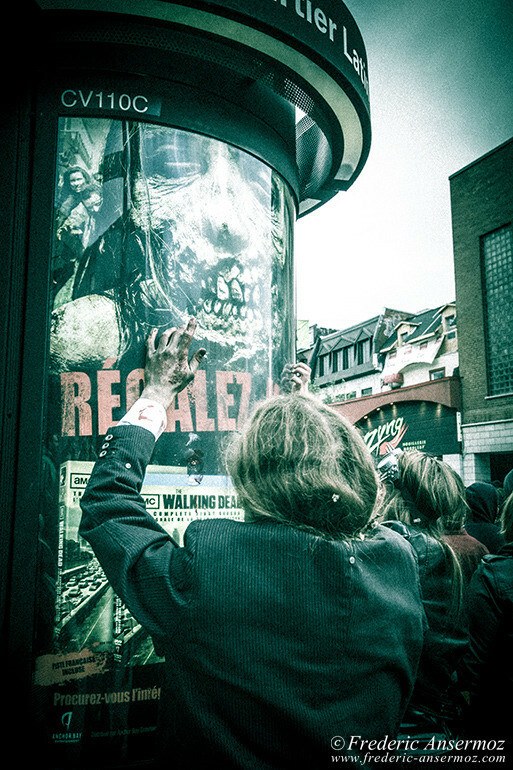 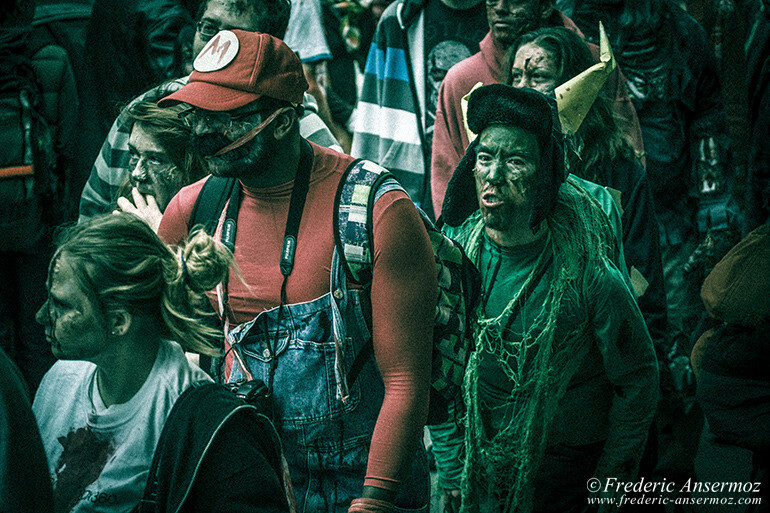 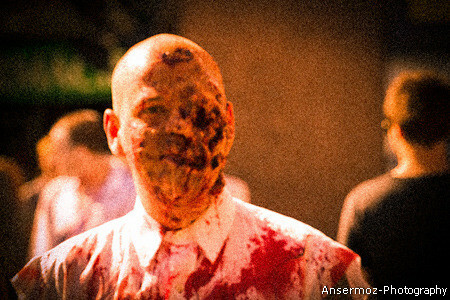 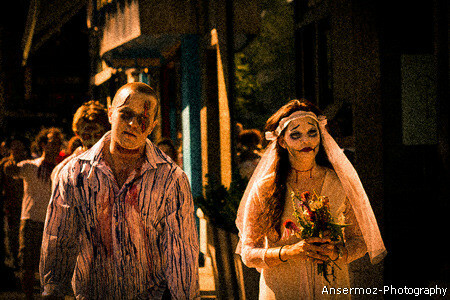 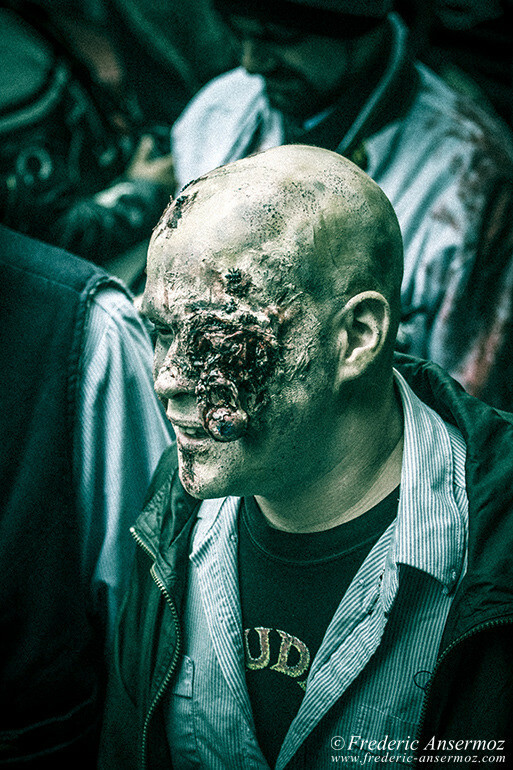 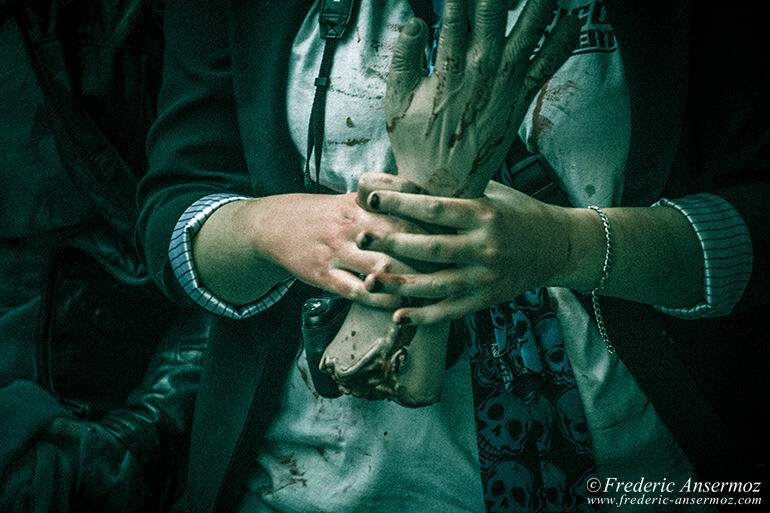 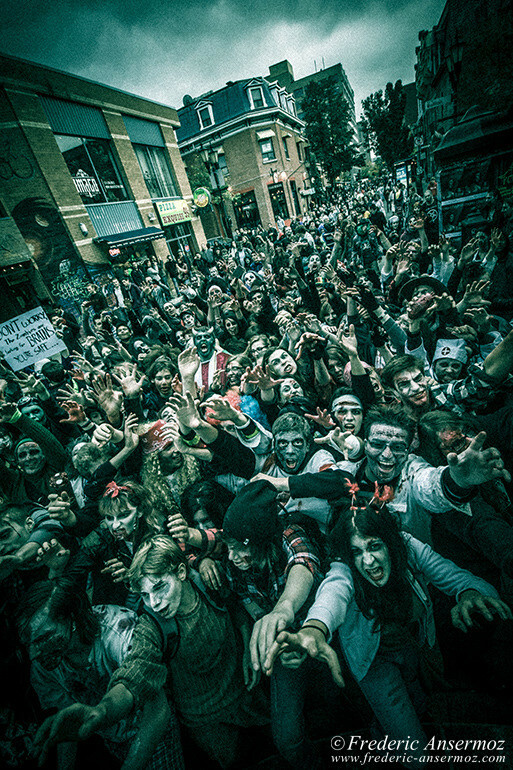 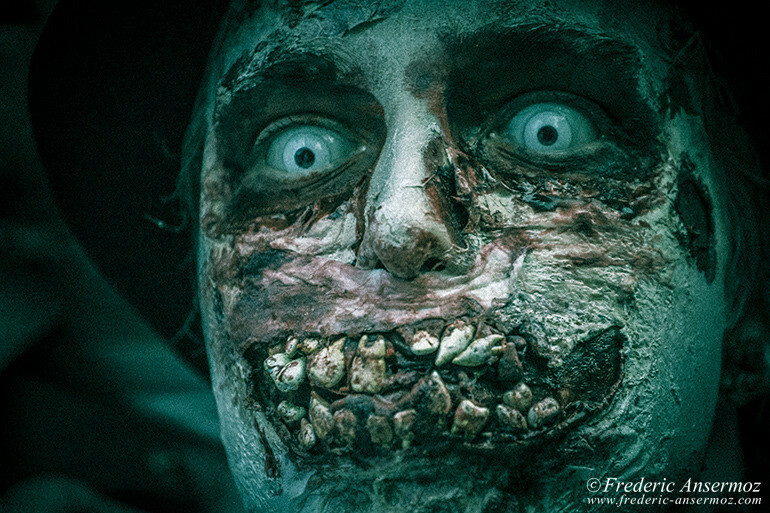 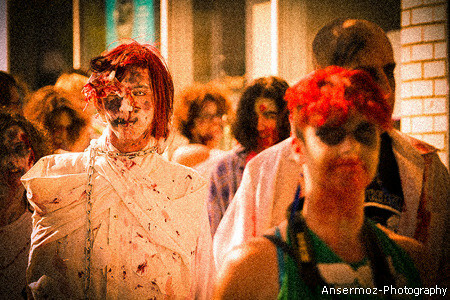 There was lots of zombie walks this year, here in montreal and alomost all around the World I think. 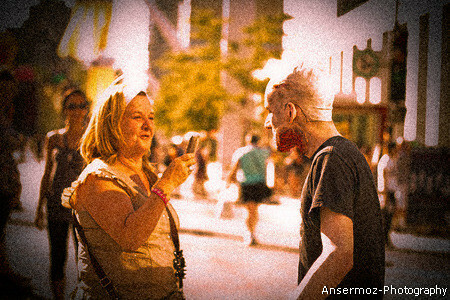 Here are some pictures of two of them, in Montreal. 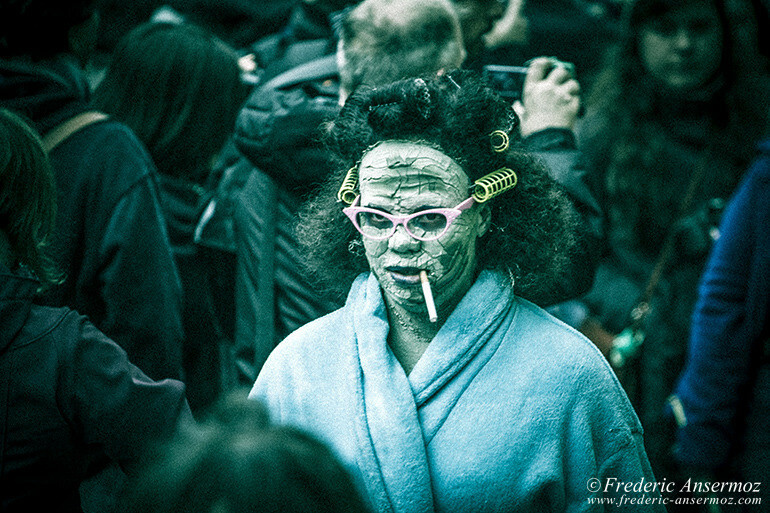 The frist one was completly a surprise, the second one was more planned, as a part of the Spasm Festival. 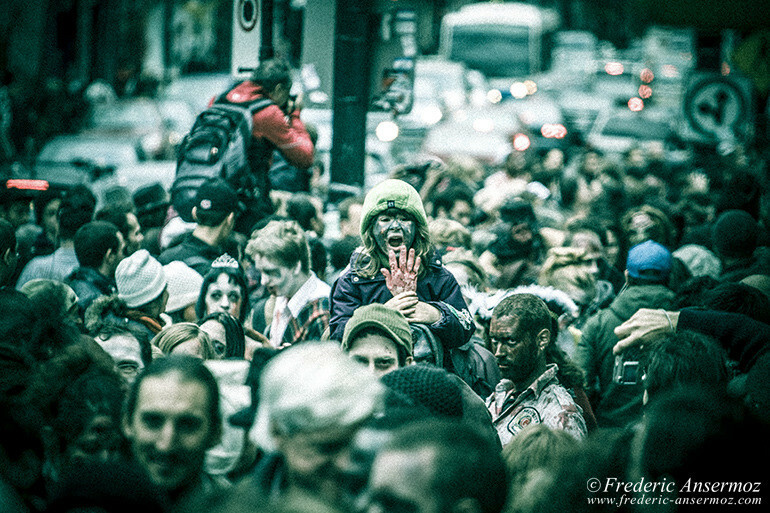 I used the Canon 70-200mm F4 and the Sigma 10-20mm (in the second serie). 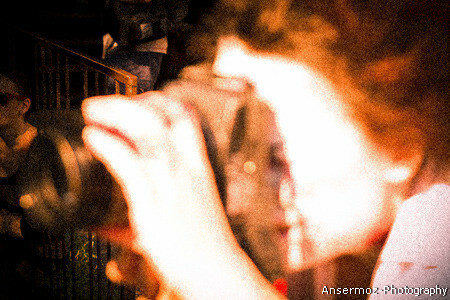 The 70-200 is good zoom lens to make portraits if you can’t get closer to your subject. 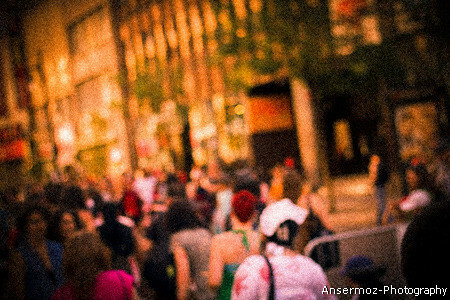 Relativly high ISO (800), small focal number (F4 in my case) and a fast shutter speed (1/640), allows you to get a nice short depth of field and this blurry foreground/background effect. 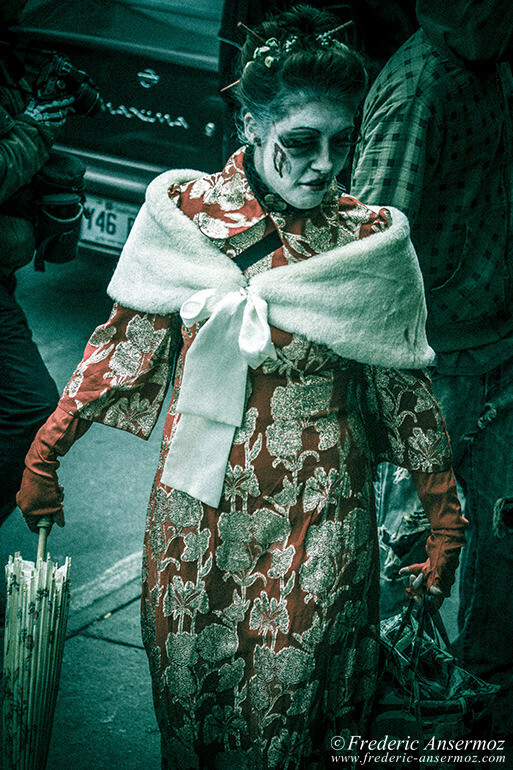 I don’t do portrait photography yet, or shoot people, but those kind of events are a good opportunity to practice and test some techniques. 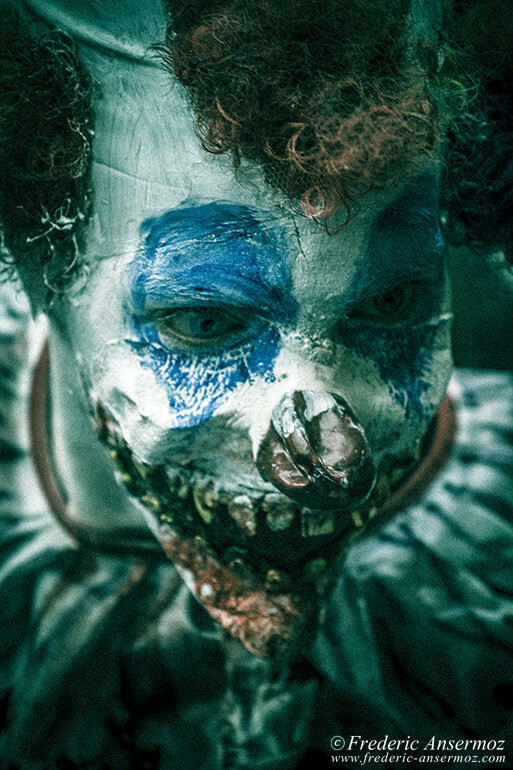 Don’t be scare and enjoy! 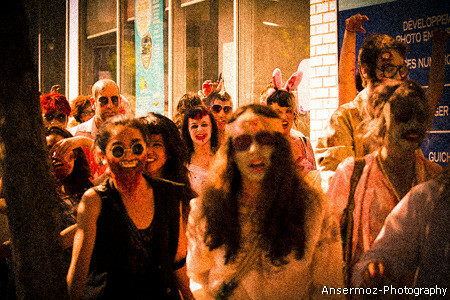 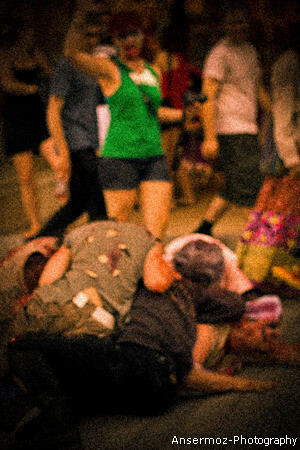 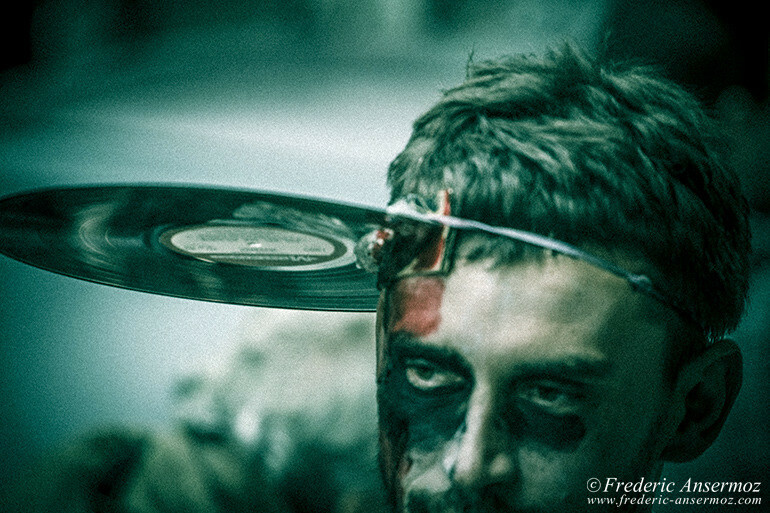 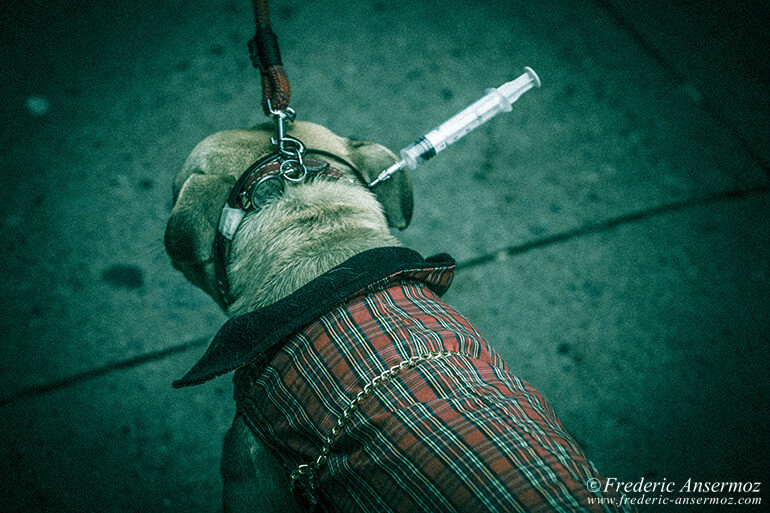 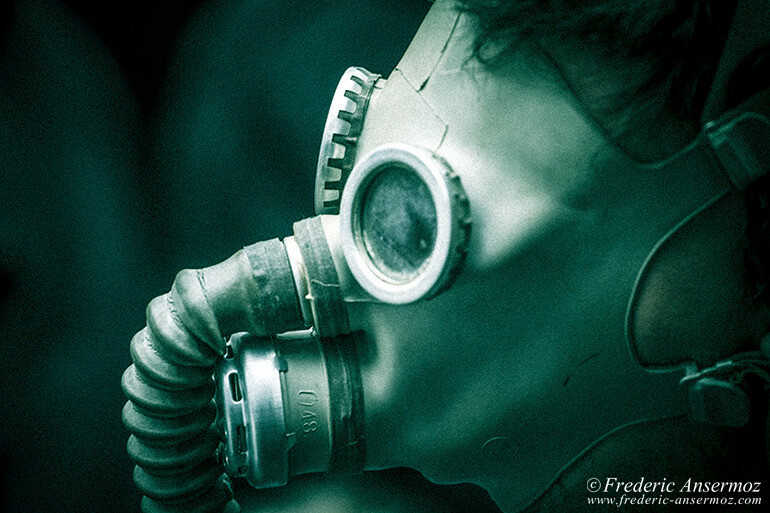 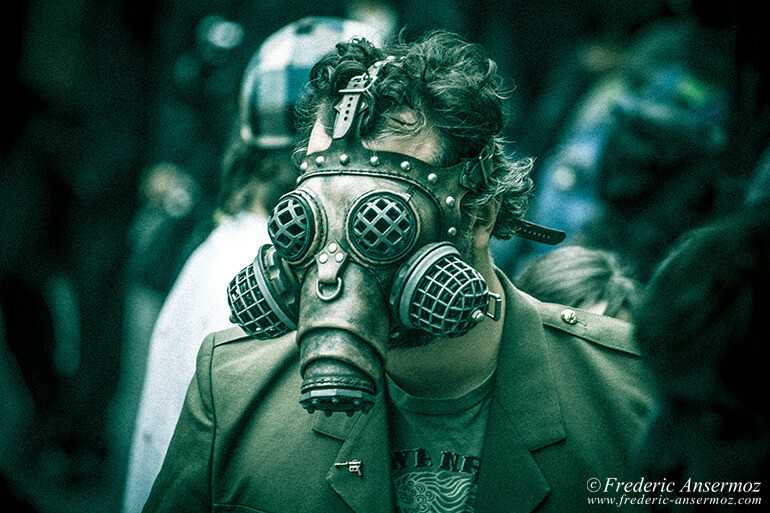 [What] Tags: Canon 70-200mm, Depth Of Field, Event, Montreal, Portrait, Spasm Festival, Street, Zombie Walk.